Kurt Lewin was born in Poland in 1890. He spent later life time in USA. where he died in 1947. He contributed in the fields of Management and Psychology. Here “Kurt Lewin Change Model and theory | lewins change management” is summarized for management students. 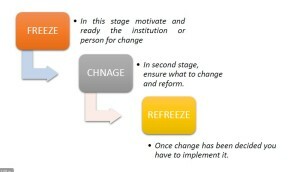 Unfreezing is referred to get ready and motivate the person and department for change. It is the stage in which under question entity is focused and motivated towards the change, once the entity is ready the purpose of this stage has been served. Analysis is key factor of this stage. Now it’s time to move towards the next stage. 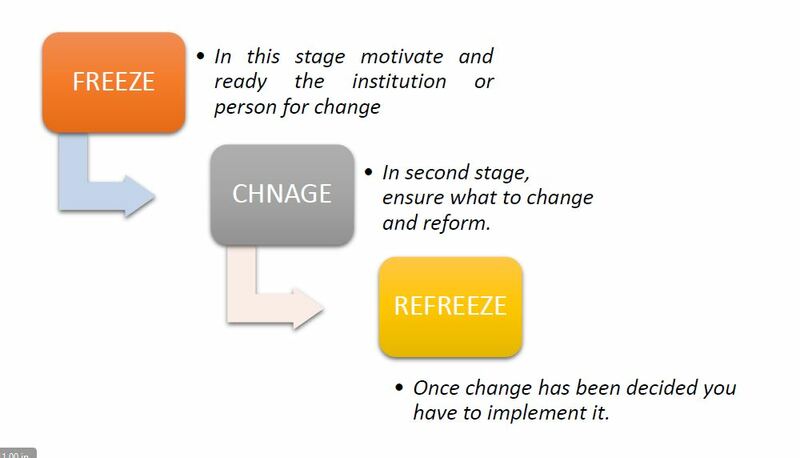 In this stage, according to KZ Lewin, we have to strive for the change, as the people or the organization has been made ready to go for a change, then in this stage leader has to make the reforms and necessary changing in their subordinate system. Change can only been employed if the first stage is fully implemented. The second stage is also referred as transition stage.